With its rich, ringing voice and infectious dancing rhythms, the banjo captures the imagination and gets everybody moving. 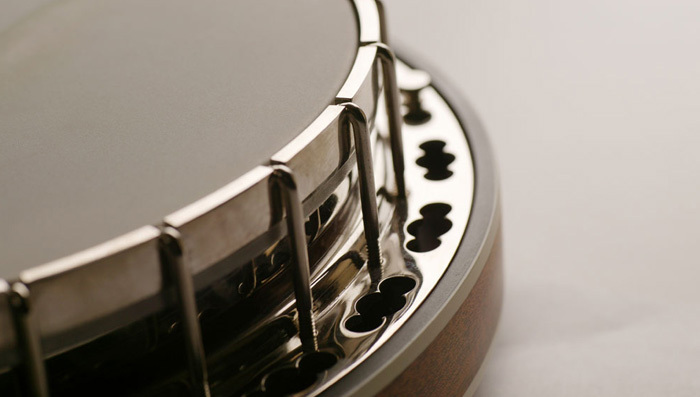 If you have dreamed of playing the banjo, or are looking for an upgrade from your current instrument, Dusty Strings has a banjo to fit your needs. Our expert staff can offer advice and help you find the right instrument, be it a modestly priced, great playing beginner’s model or a deluxe, ornate, professional banjo with all the bells and whistles. If you have any questions regarding details, custom orders, set-up, or pickup installation, contact us.